Thierry Henry has defended Raheem Sterling, insisting that the Manchester City winger is being unfairly judged. The 21-year-old has struggled to shine at Euro 2016 and was brought off at half-time as England fell behind against Wales. 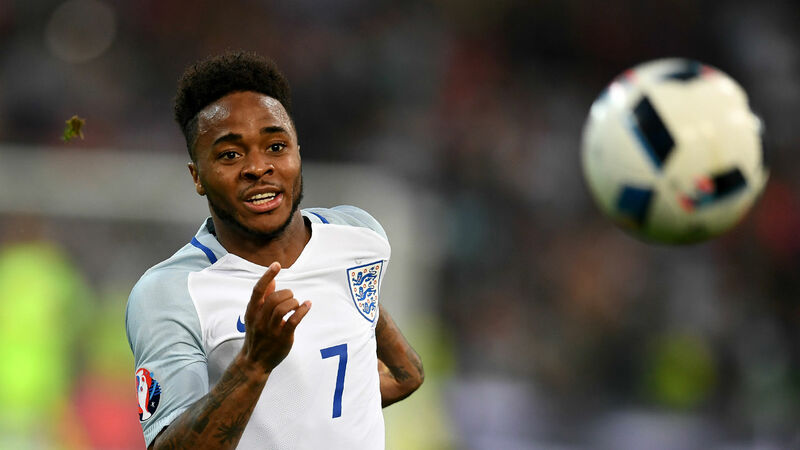 Roy Hodgson is now under pressure to bench Sterling for England’s final group game against Slovakia on Monday and while Henry admits he was impressed by Daniel Sturridge's second-half display against Wales, Arsenal’s all-time leading goalscorer insists the City midfielder should not be viewed as the finished article. “Raheem Sterling has a great future but he is not the finished article. People are treating him like he is the finished article,” Henry told BBC 5 Live. “I was not the same player when I was 27 as I was when I was 20. “So the poor kid has to deal with the [transfer] fee, deal with all the stuff he has to deal with, but he’s not the finished article. “Yes, he cannot finish like he would be able to finish an opportunity like that [against Wales] when he’s going to be 28, 29. “I wasn’t that type of player when I was 20. I struggled. I struggled with life and I struggled with everything and it’s a normal thing. “I think it’s a bit unfair in a way as he didn’t say ‘buy me for that type of money’. Obviously the expectation is there. Did he behave in a weird way at times? Yes he did - but we all make mistakes at times. “I don’t think we was the finished article and he still isn’t. I think he’s a good player, let’s see.